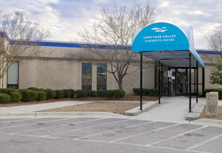 At Cape Fear Valley Cancer Center’s Medical Oncology Department, our team of four full-time, board-certified medical oncologists and three certified family nurse practitioners delivers exceptional, compassionate care. Dr. Devasthali joined Cape Fear Valley Health in summer 2014 after practicing at The Blood and Cancer Clinic of Fayetteville for more than 20 years. Dr. Devasthali graduated from Sechenov First Moscow Medical Institute in Moscow, Russia. He completed his fellowship at Case Western Reserve University in Cleveland, Ohio. Dr. Devasthali is a member of the American Society of Clinical Oncology, the American Medical Association and the Cumberland County Medical Society. Dr. Devasthali is originally from India but after more than 20 years in the area, he, his wife, and two daughters consider Fayetteville their home. 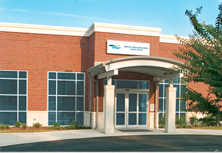 Dr. Nazir joined Cape Fear Valley Health in summer 2014. Before joining Cape Fear Valley, he worked at The Blood and Cancer Clinic of Fayetteville. Dr. Nazir graduated from Sind Medical College in Karachi, Pakistan. He completed a residency at University of Illinois at Chicago in Illinois. He completed fellowship training in oncology, hematology and bone marrow transplant at the University of Pittsburg in Pennsylvania. Dr. Nazir is a member of the American Society of Clinical Oncologists and the American College of Physicians. 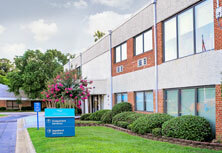 Dr. Nazir is a Board Certified Medical Oncologist. He is also board certified in Internal Medicine. After completing his residency and fellowship in the United States, Dr. Nazir practiced oncology in Kentucky for six years before moving to Fayetteville with his wife and two children. He has been a resident of Fayetteville since 2004. Since 2005, Dr. Nazir has been the principal investigator on pharmaceutical-sponsored clinical trials on multiple myeloma, colon cancer, lung cancer and anemia at the Blood and Cancer Clinic. Dr. Nazir has presented several oncology presentations to students of the Methodist University Physician Assistant Program. Several students from the program also did their externship rotations under his supervision at the Blood and Cancer Center. While Dr. Nazir may be new to Cape Fear Valley Cancer Center patients, he is a familiar face to physicians of the cancer center through his participation in the weekly Cancer Conferences over the years. A native of India, Dr. Bakri has been Medical Director of the Medical Oncology Department at Cape Fear Valley Cancer Center since 1988. Dr. Bakri graduated from Baroda Medical College in Baroda, India in 1973. He completed post-graduate study at Baroda Medical College in 1976. He came to the United States for his internship and residency at The Jewish Hospital and Medical Center of Brooklyn in Brooklyn, N.Y., completing it in 1979. Following his residency in Internal Medicine, Dr. Bakri did a fellowship in Medical Oncology at Roswell Park Memorial Institute in Buffalo, N.Y., from 1979 to 1981. Dr. Bakri was Assistant Professor in the Department of Medical Oncology at Chicago Medical School from 1981 to 1982. 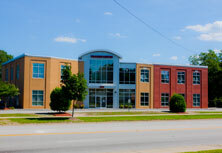 In 1982 Dr. Bakri opened a private practice in medical oncology in Fayetteville. In 1988, he moved his practice into the newly opened Cancer Center on the campus of Cape Fear Valley Medical Center in 1988. Dr. Bakri serves as the Medical Director of the Medical Oncology Department. An active presenter at weekly Cancer Conferences, Dr. Bakri is well respected by his peers for his knowledge and dedication to cancer care. He is board certified in Internal Medicine and Medical Oncology. Dr. Bakri is a member of the American College of Clinical Oncology and, while at Chicago Medical School, was a member of the Eastern Cooperative Oncology Group. Dr. Bakri’s involvement in scientific and medical research began in 1982 and continues to this day with his collaboration with researchers at the Lineberger Cancer Center of the University of North Carolina at Chapel Hill. He is principal investigator of many ongoing clinical trials at the Cancer Center. Dr. Bakri is married and has a son and a daughter. A native of Pakistan, Dr. Malick received his medical degree from Dow Medical College in Karachi, Pakistan in 1987. He completed an internship in Medicine and Surgery at Civil Hospital in Karachi, Pakistan in 1989. An Internal Medicine Residency in Chicago brought Dr. Malick to the United States in 1990. He completed his residency at Cook County Hospital in Chicago, Ill. in 1993. Following his residency, Dr. Malick immediately began a fellowhip in Hematology and Oncology at the University of Maryland Cancer Center in Baltimore, Md. During his fellowship he took an active part in clinical trials and research protocols in the treatment of metastatic colon cancer, lung cancer, lymphoma, head and neck cancer and leukemia. He completed his fellowship in 1996. Dr. Malick received specialty board certification from the American Board of Internal Medicine in 1995, subspecialty board certification in medical oncology in 1999 and subspecialty board certification in hematology in 2001. Prior to joining Dr. Bakri in the Medical Oncology Department of the Cancer Center in August 1999, Dr. Malick was a hospitalist and consultant at Barnwell County Hospital and Palmetto Internal Medicine and Subspecialty Associates in Barnwell, S.C. from 1997 to 1999. 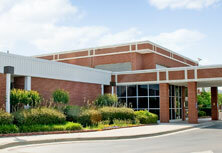 Dr. Malick is an active participant in weekly Cancer Conferences at the Cancer Center. He is a member of the American Society of Clinical Oncology and the North Carolina Medical Society. Dr. Malick and his wife have a daughter and a son. A native of Portsmouth, Virginia, Dr. Manning graduated Phi Beta Kappa with a Bachelor of Science Degree in Biology from The College of William and Mary in Williamsburg, Va. in 1983. 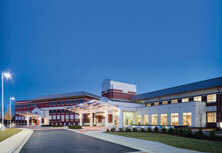 In 1987 he earned his medical degree from Medical College of Virginia in Richmond, Va.
Dr. Manning completed a residency in Internal Medicine at Wake Forest University Baptist Medical Center in Winston Salem in 1990 and a Fellowship in Medical Oncology and Hematology at the Comprehensive Cancer Center of Wake Forest University Baptist Medical Center in 1992. 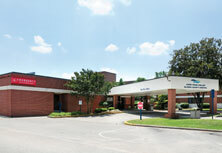 Dr. Manning previously practiced in Suffolk, Va. and Tulsa, Okla., where he was affiliated with Oklahoma Oncology, Inc. While in Tulsa, Dr. Manning also served as Clinical Assistant Professor with the University of Oklahoma School of Medicine in Tulsa, principal investigator for the Tulsa, Oklahoma CCOP, and past president of the Oklahoma Society of Clinical Oncology. Dr. Manning’s memberships include the American College of Physicians, American Medical Association, American Society of Clinical Oncology and the North Carolina Medical Society. He is board certified in Internal Medicine and Medical Oncology. Hui Chen, M.D., joined Cape Fear Valley Health in the summer of 2017. Prior to moving to Fayetteville, she worked in New York City for ten years. Dr. Chen received her medical degree from Sun Yat-Sen University in Guangzhou, China. After graduation, she moved to New York City to work at Memorial Sloan-Kettering Cancer Center as a post-doctoral research scholar. She completed a residency in Internal Medicine at New York University Lutheran Medical Center in New York City. Dr. Chen completed her fellowship in Hematology and Oncology at Brookdale University Hospital and Medical Center in Brooklyn, N.Y.
Dr. Chen is board certified in Internal Medicine, Hematology and Medical Oncology. She is a member of the American Society of Clinical Oncology, the American Society of Hematology, the America Medical Association and the American College of Physicians. When she is not in the office, Dr. Chen enjoys reading, cooking, hiking and painting. She is also a member in her church’s chorus. Mikhail Vinogradov, M.D., joined Cape Fear Valley Health in November 2017. Dr. Vinogradov graduated from Samara Medical School in Samara, Russia. 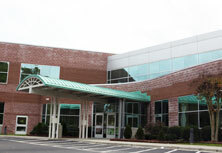 He completed his residency in Internal Medicine at East Carolina University/Pitt County Medical Center in Greenville, N.C., where he also completed his fellowship in hematology and medical oncology. Dr. Vinogradov board certified in Internal Medicine, Hematology and Medical Oncology. He is a member of the American Society of Clinical Oncology and the American College of Physicians. Dr. Vinogradov has two daughters and one son. He enjoys beekeeping and traveling in his free time. Colleen Kritz, CFNP, AOCN, is a Certified Nurse Practitioner in the Medical Oncology Department at the Cancer Center. She works with Dr. Bakri and Dr. Malick, assessing and managing cancer patients who are actively receiving chemotherapy or who are coming for routine follow-up visits. Colleen earned her LPN from Gogebic Community College in Ironwood, Mich. in 1978. She earned her Associate Degree in Nursing from Wisconsin Indianhead Technical College in Ashland, Wis. in 1982. Colleen earned her Bachelor of Arts in Nursing in 1990 and her Master of Arts in Nursing, Clinical Nurse Specialist, in 1993 from the College of Saint Scholastica in Duluth, Minn. In 1996, she earned her post-graduate certification as a Family Nurse Practitioner also from the College of Saint Scholastica. Prior to earning her certification as a Nurse Practitioner, Colleen was an experienced Registered Nurse. 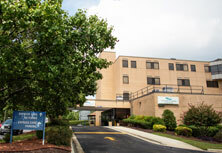 Her various work areas included medical oncology, coronary care, emergency department, medical-surgical and home hospice. From 1986 to 1989, she served as Head Nurse in the Coronary/Intensive Care Unit at Grand View Hospital in Ironwood, Mich.
Colleen was Head Nurse of the Ambulatory Care Department at Grand View Hospital in Ironwood, Michigan from 1989 to 1996. Her focus was oncology/chemotherapy. As a Clinical Nurse Specialist she became experienced in guided imagery, music therapy, progressive relaxation, symptom management and pain control in caring for oncology patients. After earning her Nurse Practitioner certification, Colleen worked as a Family Nurse Practitioner with the Grand View Health System Clinic in Ironwood, Mich.
Colleen has been associated with the Medical Oncology Department of the Cancer Center since October 1997. She is board certified as a Family Nurse Practitioner through the ANCC. 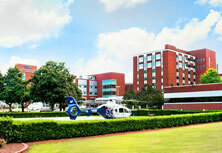 Her certifications also include Advanced Oncology Certified Nurse and Advanced Cardiac Life Support. She is a member of the Oncology Nursing Society, Sigma Theta Tau and the Academy of Nurse Practitioners. Colleen is a retired Lieutenant Colonel from the Army Reserve with the 3274th U.S. Army Hospital at Fort Bragg, N.C.
Vicki Richardson is a Certified Nurse Practitioner in the Medical Oncology Department at the Cape Fear Valley Cancer Center. She works with Dr. Sajjad Malick, assessing and treating cancer patients receiving chemotherapy and routine follow-up appointments. Vicki was born and raised in North Carolina, hailing from Rockingham. Prior to her nursing career, she worked with Cumberland County Mental Health at the Roxie Avenue Center, a mental health facility, where co-workers encouraged her to return to school in pursuit of a nursing degree. Vicki earned her Bachelor of Science in Nursing from Duke University in Durham, North Carolina in 2004. She was awarded the Duke Medical School Faculty Wives Scholarship and the Emmy Lou Tompkins Scholarship. 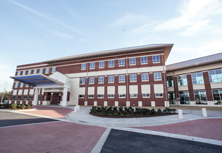 Following graduation, Vicki worked on the Long-Term Care unit at the VA Medical Center in Fayetteville, North Carolina where she became increasingly more intrigued and motivated to continue her work with the geriatric population. While working with Alzheimer’s patients and witnessing the struggle of her own family as her father suffered and died from this disease, she developed the desire to learn more and provide greater care for those who suffer this cruel disease. Vicki returned to Duke University receiving the John A. Hartford Foundation Scholarship becoming a Geriatric Advanced Practice Nursing Scholar. Vicki was inducted into the Sigma Theta Tau International Honor Society of Nursing. She earned her Master of Science in Nursing and Nurse Practitioner Degree specializing in the field of geriatrics. She is Board Certified as a Geriatric Nurse Practitioner through the American Nurses Credentialing Center (ANCC). She is a member of the National Conference of Gerontological Nurse Practitioners and the American Nurses Association (ANA) and the North Carolina Nursing Association. She is also a member of the Oncology Nursing Society (ONS). Kathy Jones is a Physician Assistant in the Medical Oncology Department at the Cape Fear Valley Cancer Center. She works with medical oncology patients throughout their chemotherapy and also during post-therapy visits. Kathy was born in Akron, Ohio. Prior to coming to the Cancer Center, she was physician assistant in a private pediatric clinic and also worked part-time in Cape Fear Valley’s Emergency Department. Kathy received her Bachelor’s Degree in English Education from Fayetteville State University and her Master’s Degree in Education Counseling from Campbell University. After spending more than twelve years in the public and private education system, Kathy decided to go back to school to attain her dream working in the medical profession. She received her Master’s Degree in Medical Science from Methodist University in 2009. Beth Ramsey is a Certified Family Nurse Practitioner in the Medical Oncology Department at Cape Fear Valley Health’s Health Pavilion North Cancer Center. She works with the medical oncologists educating, assessing and managing the care of cancer patients who are actively receiving treatment for cancer or who are receiving follow up care after achieving remission. Beth was born and raised in Wilson, N.C. She earned her bachelor’s degree in Criminal Justice at East Carolina University in 1990. After a life-changing event, she felt lead to return to school to become a nurse. She received her LPN from Central Carolina Community College in Sanford, N.C., in 1993, and her associate’s degree in Nursing from Armstrong Atlantic University in Savannah, Georgia, in 1994. Beth has been a registered nurse for 25 years. She has cared for patients in many settings, such as cardiac care step-down, hemodialysis, pre-surgical testing, pre-operative unit, operating room and post anesthesia care unit. In 2017, Beth earned her master’s degree in Nursing – Family Nurse Practitioner, from Simmons College, in Boston, Mass. She was awarded the National Military Family Association Scholarship. She maintains certifications as a Family Nurse Practitioner by the American Association of Nurse Practitioners. She is a member of the Oncology Nursing Society and Sigma Theta Tau Honor Society of Nursing.